Pick up your all hands badge here. This is the place to ask questions all week. HRBP Session on development plans. Discuss the plan moving forward for mozdef - do we plan on putting our infrastructure in the cloud? Do we plan on keeping it dedicated and possibly spreading nodes worldwide? Would we want to use something like Terraform, consul, etc so we aren't boxed into using Amazon should we build an AI and incorporate machine learning using Google's tensorflow? Let's brainstorm bringing mozdef up to a next gen level. Firefox All Team meeting to kick off our week in San Francisco. Office hours for bugzilla.mozilla.com. Do you have a question about how to use Bugzilla? Want to learn how to create and save searches? Want to file better bugs to help us ship Firefox 57 on time? Come by! Recruiting session to discuss Workday reporting. Need help with your Q3 OKRs? You have OKR questions, and Steven has answers. Pop into our room anytime during this session to get help with anything OKR-related. Want to read your boss's mind? I can teach you how. Opportunity for all the members of the new Developer Outreach group to gather, meet each other, and talk through our plan for the week. Content Discovery, Recommendations, and Frontend Redesign. Review where we are with post-57 content discovery to make sure as many users as possible make it over to WebExtensions. Discuss specific recommendations for alternative add-ons. Go over PRD for discovery features in Desktop redesign. 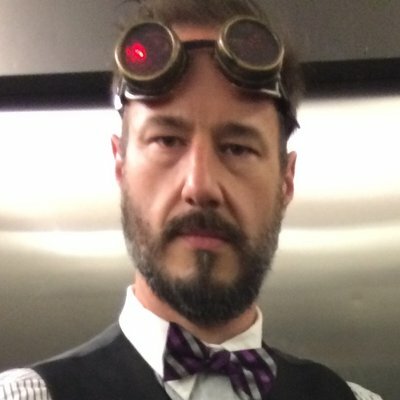 Go over scope for frontend redesign. Need a place to hang out where it's quiet? Come to the Balboa Room for a bit and sit in a bean bag or work at a workstation. Please note there is no talking in this room, it is strictly a place to come and focus in total quiet. Room is smallish and will be available on a first come, first serve basis. We plan to use this meeting to validatethe 2017 Build System Roadmap:https://docs.google.com/document/d/1jIiwgaprkYp5j8rd0YJBFt7hQXN6kB_Ko-Y78sk1OA0/edit# We will also look ahead to 2018. How does Mozilla use the AWS Security Auditing Platform (ASAP) today? Are there additional security auditors that we think we should add? How can other infosec team members contribute to our fork of Security Monkey? As an infosec team member, how can I leverage the data that's being collected by ASAP to facilitate other security automation pipelines? This hack session is to work through turning on default-deny for mdc1. We'll review the flows that are logging and would be denied to determine which should be allowed to pass. The newly formed Developer Outreach group brings together the MDN and Developer Relations teams, and this session will help them get to know each other by providing an overview of their respective 2017 strategy and goals. People Leadership Team strategic planning session. Identify areas of our security guidelines and recommendations where we encounter people asking for a recommendation but we have no written guidelines. How are teams using OKRs? How are they using them differently? Drop in any time during this session to learn more about the many ways Mozilla uses OKRs. We'll show off a brand new, interactive diagram that details how our goals connect and flow together. If you're not sure your team is using OKRs "right" or you just have a random question, please come by and say hello! A museum style set up and experience, designed to allow teams and people to walk around, view and participate in the project at their own pace and on their own schedule. This time has been assigned to the Emerging Technologies team and everyone is encouraged to attend. A deep dive into how the MIG agent works followed by a pair programming, team programming, unit testing and a hackathon in order to implement new checks on MIG for endpoint devices that have been requested by Service Desk. Open office hours for Benefits Team. All Mozillians are welcome. Work with AMO engineering to make sure post-review automation needs in Q3 are aligned with planned work. Cover add-ons linter technical discussion and roadmap. Discuss review tools with AMO engineers. MoFo Skill Share - Do you want to build an email? A chance for all Mozillians to wander through, see design and research work-in-progress, and talk to members of the Firefox UX team. Best practices and processes for building comms plans at MoFo. Come to the session with a comms plan in mind that you'd like to develop and/or be ready to contribute to a group comms plan we build together. MoFo Working Sessions - Checking in on impact for our 3 year strategy: are we tracking this effectively? Are they telling us what we need to know? In our 3 year strategy, we said we'd measure 2 main things to tell us if we're having the impact we want to have: Tracking citations of Mozilla/MLN members tied to our issues; Tracking public opinion (eg. on Internet Health). Now that we're halfway through the strategy, this is a good moment to ask ourselves: are we tracking progress against these metrics effectively? If not, what needs to be done to make that happen? And also, given how our strategy has grown and evolved over the last year and a half, are these the right metrics to tell us how we're progressing towards our theory of change? We made a big splash with phase 1 of our net neutrality campaign but it's a long, sustained fight. In this current phase, how can we maintain a steady drumbeat of engagement leading up to the end of the public comment period in August. We'll also start to think about what a 3rd phase might look like, once the FCC has made it's recommendations and moves to the congressional level. The new Tech Policy Fellows bring deep expertise on many topics from the US and around the world -- privacy, security, AI, machine learning, broadband connectivity, net neutrality, digital economy, and more. This session will highlight themes and goals of the fellows' projects and ask participants to share ideas on how best to leverage the fellows to advance Mozilla's goals including external engagement and impact. Collective mapping exercise to demonstrate how misinformation cuts across the main Internet health categories. Sharing a synthesis of the most up-to-date research on the dangers, impacts, and misunderstandings. A idea rating sheet exercise to bubble up collaboration opportunities to address misinformation. The Network site will serve as the home for the Network. With it, we have an opportunity to better serve and understand the members of our Network, showcase the work leaders do towards Internet health, and connect people and projects with offerings and events from Mozilla. Discuss the next iteration of the site and how it will evolve into a core participation platform to advance the network, its leaders, and our Internet Health initiative. Look across the backlog (https://trello.com/b/O21FgbUX/mozdef-project-mgmt) of MozDef work and identify what we want to accomplish in Q3. These will be further defined/broken down in subsequent sprint planning. Opportunity for people outside the group to influence priorities on mozdef. This is a closed meeting to better scope the expertise and assets being brought into Mozilla by the pocket team regarding content recommendation strategies. The meeting will include the Context-graph team leaders and analysts alongside the pocket data team so that we can share insights and develop strategies to improving content discovery and recommendation. Infosec and Mozilla: Are we aligned? Discuss the state of Mozilla security in it's entirety as well as a critical look at the effectiveness of our efforts to improve Mozilla's security posture. How is Enterprise Information Security helping Mozilla? What is does our current security posture look like? What are areas that we are focusing on but which don't improve Mozilla's security posture as much as other areas could? What work are we doing "just because we've always done it" that doesn't give us the return on investment that it should? How do you communicate complex internet health topics to diverse audiences? How can we use NSF-WINS as a case study to explore how Internet Health language resonates with different interest groups? Join us to build a comms and outreach plan for NSF-WINS as part of a broader converastion on making Internet Health relatable and relevant to technical, activist, educator, and other audiences. Using research and current reporting functionality, in conjunction with already available data sources, we will build a dashboard of HR reports and metrics that can be used by HR and leadership in decision making. The Coral Project has tools in use, reaching hundreds of thousands of people. We'll take a look at them in action, learn more about their next steps, and discuss how the Network and its goals can become more involved in its evolution. In 2016, Hive piloted a cross-city membership model. Join us to learn about this pilot, lessons learned, and how we might explore Mozilla Network membership models more broadly across cities and networks. There are countless ways that we engage our community on Internet Health issues. From websites to social media, from emails to events and trainings, the types of interactions and user actions we solicit are varied in scope, as well as in the impact that they have on our work. Let's map out all of the relevant types of engagements and identify how we can best empower internal teams with access to engagement measures that encompass as much of our work as possible. We will also examine the history of both the Meaningful Actions measure and of the Total Engagement Index and identify a roadmap for improving the ways we measure community engagement. Traditionally, MozFest has been viewed as a single moment in the calendar to convene, celebrate, plan and act. We recognize that Mozilla supports an ecosystem of activities, trainings and events that foster engagement connections for our network 365 days a year. How can we link these activities to provide a cohesive annual calendar that deepens relationships with fellows, supports leadership development of our network members, and presents strong opportunities to rally our existing partners? MoFo Working Sessions - Safety Campaign Messaging Throw Down! 3 messages enter, 1 message leaves! We've been working for the past month to develop the best message for our safety campaign. Now it's time to put those messages to the test in the Arena of All Hands. Working as a team, Tech Speakers will update and expand on the information provided in the Tech Speakers wiki page. Working Session around Employee Experience function. Fresh from a week of field research in Chicago, Sharon will review the latest findings about Test Pilot and experiments. The Firefox Layout Team meets every 6 months to discuss Team projects and plans. In this workshop, you'll be helping brainstorm and design team, and community leadership processes for conflict resolution enforcement, reporting and community health development leveraging the Community Participation Guidelines. What makes our web properties "Firefoxy"? We will discuss applying the Firefox Design System to the web, what works, what doesn't, and where we can go from here. Learn how to be effective with the Elm programming language used for RelEng frontend services. A discussion and strategy session to brainstorm initial experiments to be deployed via the Firefox Pioneer initiative. Q3 milestones will be determined and initial experimental designs, deliverables, and objectives will be hashed out. Cretonne is a new backen dfor Web Assembly and more, being built with Rust. In this session, we'll talk about Cretonne, Rust, Web Assembly, Baldrmonkey and how everything fits together. Cranelift. Wasmtime. Rust. WebAssembly. SIMD. Instruction Sets. Control Flow representations. Floating point determinism. NaNs. Did I say Cranelift? In this session, Tech Speakers will review the current status of their content catalog, brainstorm additional videos/lessons/materials to add to the program's content offering, and create a most-wanted list for "Masterclass, Lab, and Tech Briefing" materials. Learn how async python works, and how we're using it in RelEng. Attention rr users! Let's find out who's using rr at Mozilla, what's working well and what isn't. Let's talk about next steps: rr in the cloud, trace portability, replay-only logging, post-gdb interfaces, and whatever else your heart desires. Training provided by Shoshana Isaac for People Team. Get trained on doing incident response for Mozilla in AWS. This will cover Mozilla specific AWS incident response technologies and processes. Make sure our globally dispersed volunteers and contractors are aligned with review process. Look at onboarding and assessment, identifying good code to test skills and knowledge of reviewer applicants and implement screening automation. Build HackerRank test and key for reviewer applicants. Work with volunteer reviewers and contractors on clearing backlog of reviews together. Open office hours for D&I Team. All Mozillians are welcome. Data & Metrics for the Mozilla network as part of the Insights team at the foundation. The purpose of this meeting is to unpack our 54.0 GoLive experience and identify where we can standardize. There seems to be consensus that even though the GoLive process is repeated release-to-release it isn't as reliable in terms of consistent outcomes as it could be. The goal is to cover a few topics about how we all work as a team and some of the work that's been progressing over the last months on better defining our design process, our design system, and a few tools relating to career and skills-building. In 2017 we set out to more consistently show up with Internet Health content in existing and new channels: we set out to build an "always in market" approach. The theory is that increase our frequency and consistency would lead to better engagment, allow us to reach new audiences and ultimately have more impact. With a few months under our belt we are seeing postive signals which we'd like to dig into as well as glean for insights on how to optimize and expand the approach in the 2nd half of the year. This session will explore how we're currently funding the network through grantmaking. Together, we'll study who, what, where, and how we're currently making grants, identifying trends and gaps in our network supports. MoFo Working Sessions - How do we engage senior network members around Internet Health, to leverage their reach, communities and audiences to amplify our messages? Our network currently provides ample opportunities for young committed leaders to engage, but we are still figuring out how to engage senior leaders within our work. What is the best way to engage them? What are programmatic ways that they can engage? How can we leverage these folks to amplify (and increase the reach of) our message. Recap of #mozsprint (aka online, distributed MozFest). How we blew 2016 out of the water, expanded to be a cross-mofo event, and what we learned in the process. Applying this learning to 2018 and how we can build the Global sprint to be bigger and broader across the network. What tools can be applied to move the global work back to a local stage so we can encourage our network to continue to collaborate, hack and build? Many of this get this question a lot - and frankly may have it ourselves: what is the Network? In the first half of this year, folks across MoFo worked together to create a clearer definition of the shape and contours of "the Network", which allows us to identify what groups of people make up The Network and how many people there are in each of those groups. Let's get together to learn more about this definition, where (and why!) it came from -- and discuss how we might use it to amplify our work. Test Pilot team reviews their quarter and discusses where to go next. An Intro to WebVR & A-Frame w/ A-Frame School (a train-the-trainer presentation) Seating is limited. Questions contact Havi or Lucy Harris. Review the current IR process and identify areas that need improvement. Brainstorm on improved processes. I help identify and fix security risks for Mozilla. Emerging Technologies & Chris Beard - Ask Me Anything! Come spend some time with Chris Beard! Bring along your questions or anything you would like to talk to him about. Dave Miller and Mark Richards will be doing a knowledge transfer on the Jive deployment and service. Building off past IoT community events in Chattanooga and Charlottesville, and in cooperation with the Open IoT Studio, we'll be designing an "IoT Escape Room" experience that teaches participants how to share the opportunities and challenges of connected devices with their home communities in an easily replicable, fun, social, collaborative way. Join us to learn more about MoFo's new grants management platform Fluxx. We'll discuss plans for implementation and get a jump on training. A network is defined as much by its connections as by its nodes. Our network shares many affinities we know (privacy, open data), and surely many more we haven't identified. What affinities can we find between people, projects, and opportunities in the network to better connect and understand them all? What have our programs revealed to us recently? How can Pulse reveal these affinities and make them more accessible? How can the Network site promote this to the network and a broader audience? In this session, we will take you through the finding from different polls organized by MoCo on internet health. What does the US and German public know about Internet Health, which among our core issues are the most well known by the public, how does awareness and engagement correlate? Does gender, age, income really matter when it come to awareness and engagement for a better internet? MozFest 2017 is our most ambitious iteration of the festival yet. We'll have a schedule of network events throughout London in the pre-week, festival spaces aligned with the Internet Health issues, an expanded Speaker Series, an artists-in-residency program, broader inclusion efforts and more. How will you take part? In this playful session, we'll match your skills and interests with ways to contribute MozFest. MoFo Working Sessions - Safety Kit Prototyping Action! If you build it, they will come. That's why, as part of our big safety campaign, we're building a safety kit (it'll have a cooler name than that, we promise). Come get hands on with us and help us prototype that cool kit you'd totally impulse buy at the Starbucks checkout. There will be cardboard and construction paper and brilliant ideas. Begin outlining plan and timeline for 2018 planning in alignment with MoCo. Consider how our annual planning cycle can evolve, be more inclusive, and support efforts to grow into a top-notch movement org. Take part in an interactive learning and practical incident response challenge where you have to respond to an AWS account compromise of some kind. AWS personnel will provide a pre-created infrastructure and your task is to identify what has happened, how to respond, and deploy appropriate countermeasures. There will be opportunity to devise unique and creative solutions that will be judged at the end of the day. Time set set aside for members of the new Developer Outreach group to meet and work together on team-wide topics. Detailed topics and agenda will be provided by the end of the day on Wednesday. Primary objective of this meeting is to figure out how desktop engineers can help funnel QA volunteers towards the right things to test. Right now there doesn't seem to be a coordinated effort, and in the run to 57 it would be good to figure out what resources we can use to get everyone better aligned. Meeting for the DOM team to discuss issues related to the team and its work. Reflecting on key insights, recommendations and experiments this session will build goals for strategy development for the remainder of the year. If you are already running D&I experiments in your part of the project, or would like to invest in centralized and/or decentralized D&I efforts for the remainder of 2017 please join us. Session with Caitlin, Winnie, Jishnu and Sean. People in the network are driving work on Internet health (though they may not use that phrase!) and Mozilla is leading Internet health initiatives that need Network participation to be successful (like, The Internet Health Report, Mozfest, Open Leadership Training, Global Sprint). But it's not always clear *how* we folks in the network can contribute to Mozilla initiatives -- and how people can move from participating in one initiative to others. In this session, we'll map opportunities for the network to participate in MoFo Internet health initiatives, and brainstorm how we can work together to create more effective 'on-ramps' to and movement between them. Building on the previous session, we'll learn from the landscape developed in the last session and discuss what new supports are needed to better align our grantmaking across programs. With an eye to building on strengths and eliminating redundancies, we'll build a plan for continuing conversations after Work Week to create a grantmaking strategy for the foundation. You need not have attended Part I to join us for Part II of this session series! The Coral Project's Talk platform contains user profiles and logins; when integrated with Ask, it can enable a single-org profile containing everything the user has submitted to the news org. How can we model its design in line with Mozilla's key principles in a way that will make users demand the same levels of control and transparcency from every other piece of software? How Open Leadership training is expanding our network and fueling the movement for the health of the Internet. Report back on Open Leadership and Working Open training initiatives to-date. Going forward, how can we support the leaders in your programs? What does it look like to work towards a healthy Internet? MoFo Working Sessions - Who Cares? Advocacy Audiences--Who Are They? Who in the world cares about our issues? What does a day in their life look like? Where do they live? What do they buy? Who influences them. Let's dive in and find out. We typically take in most of our individual-donor contributions near the end of the year, but it's really what we do in the other 11 months that determines our success. Come learn the basics of the donor proposition, and how you can talk to friends about Mozilla's nonprofit mission. Tech Speakers are in need of an asset repository. The goal of this session is to sit down together and collectively work on getting a test-ready version of the new GitHub page prepared for sharing with TS program participants. This session will focus on how we are doing against OKRs and identifying areas that need more action. Tie up loose ends with internal groups and validate process for Mozilla Extensions (devtools, test pilot, shield, and release testing). Look at how metrics is measuring info and what is trending to ensure we are looking at the right data for health. Dry run of the Workforce True Up report. Pulling it and texting on ourselves. Discuss other group's/companies efforts in the threat hunting space. Plan out our own threat hunting project and define scenarios. Join us to review the results of our retrospective survey to identify which of our processes helped move Screenshots along and what proved to hinder us. Plan how we can do dep/try signing with out requiring the signing infrastructure. End of the week working session for members of the new Developer Outreach group to work together on a few remaining topics and talk about next steps we'll take after the All Hands. Using Data Studio effectively for Test Pilot projects. A representative from each team in Joe's org will give a quick update on what that team accomplished during the week. In particular, what they are proud of and/or how have they moved the needle for Firefox? Each team will have up to 5 minutes to give their update; demos are welcome if they make sense. Recap of work week; what's next in Q3 and Q4. Buses will leave Hilton starting at 6:30 pm. Doors open at 7:00 pm. So much to see and do. Continental breakfast for everyone, including family.